Samsung vacuum cleaners belong to an organization that has been for over 70 years creating exceptional quality products. Through innovation and exemplary craftsmanship, Samsung has created a series of cylinder and upright vacuum cleaners. Samsung product line is an imprint of clever engineering and ingenious features that are meant to enrich people’s lives and create long lasting associations. These cylinder vacuum cleaners are ideal to clean all kinds of surfaces ranging from tiles, parquet, to carpeted floorings. The Samsung cylinder vacuum cleaners are light in weight and offer an impressive suction power. SC6550 ‘saturn’ cylinder vacuum cleaner: This bagless vacuum cleaners weighs only 5.2 kg but packs a punch with a suction power of 380 watts, HEPA 11 filter, twin chamber system and easy to empty dust bin. SC9540 Silencio Vacuum Cleaner: Featuring a multiple chamber system, this vacuum cleaner is known for its quiet operation and HEPA 13 filtration. The HEPA filter serves the dual purpose of producing clean exhaust air and trapping 99.95% of micro particles and pollutants. SC9120 Silencio Vacuum Cleaner: Sophistication and quiet powerful performance ensure this bagless vacuum cleaner cleans your home thoroughly at all times. Samsung’s silver nano protection combined with HEPA 12 filtration further protects your home from microns. SC4340 ‘sweep’ Cylinder Vacuum Cleaner: This lightweight bagless vacuum cleaner weighs only 4.2 kg and can be easily navigated around the home. It comes equipped with an easy to empty dustbin and a twin chamber system that serves the dual purpose of dust collection and extraction. 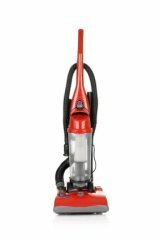 SC4360 ‘sweep’ Cylinder Vacuum Cleaner: This lightweight, easy to use and powerful vacuum cleaner performs superbly on all kinds of floorings. The variable power handle control lets you easily control the vacuum cleaner while the ergonomic design makes it easy for you to hold and operate the cleaner. SC8442 cylinder vacuum cleaner: This bagless and lightweight vacuum cleaner features a two-chamber system that has two compartments for dust collection and extraction. It also includes a 2 litre dust capacity which means you have to empty the vacuum less frequently. Upright vacuum cleaners are considered to be one of the most popular types of vacuum cleaners. Samsung’s bagless upright vacuum cleaners are powerful in performance and ensure a high level of hygiene cleanliness with its special HEPA filters. SU2931 upright vacuum cleaner: This bagless vacuum cleaner features a powerful suction due to its single cyclonic technology that separates dust particles using centrifugal force. It also includes a mini turbo brush, which picks up stubborn dirt with eases. SU2920 upright vacuum cleaner: These bagless samsung vacuum cleaners are equipped with a 1800 watt single cyclone motor, which delivers a powerful suction power. The HEPA 11 filter combined with cleaning tools and a mini turbo brush make this an ideal cleaning tool for all kinds of surfaces. SU2950 Vacuum Cleaner: Efficient and reliable, this bagless vacuum cleaner offers Twin Chamber that produces powerful suction by segregating dust particles through centrifugal force. Other features including a HEPA 11 filtration that traps micro particles and discharges clean exhaust air and a pet turbo brush for effectively cleaning stubborn dust particles. Samsung Vacuum cleaners make a great choice to help keep your biggest investment-your house clean and tidy!